Ghulam Ali, a sensation from the sub continent, has enthralled ghazal audiences all over the world for almost four decades now. The singer’s name is synonymous with this genre of music. His background as a thumri singer makes him an exceptional ghazal singer, who has remained unrivalled for nearly half a century of his singing career. One of the most versatile singers, Ghulam Ali was born in 1940, at village Kaleke, district Sialkot, which is now a part of Pakistan. He hails from a family of musicians with a lineage of a vocalist father. This ghazal legend got his initial musical training from his father. One of the most critical moments of Ghulam Ali’s life was when he encountered the unparalleled legend of classical music Ustad Bade Ghulam Ali Khan at the age of 15. It was during the legend’s visit to Kabul that Ghulam Ali’s father requested him to adopt his son as a disciple. But the maestro insisted that since he was hardly in town, regular training wouldn’t be possible. After repeated requests from Ghulam Ali’s father, the maestro agreed to give a hearing to the young Ghulam Ali. This recital turned out to be one of the most important ones of Ghulam Ali’s life as Bade Ghulam Ali Khan accepted him with open arms as one of his most prestigious disciples. Thereafter there was no looking back. Bade Ghulam Ali Khan had three brothers, Barqat Ali Khan, Mubarak Ali Khan and Amanat Ali Khan, all of whom were renowned classical musicians. The young Ghulam Ali was placed under their supervision as they lived in Lahore. It was under Ustad Mubarak Ali Khan that he learnt to recognize ragas and other fundamentals of Classical music, which went onto become his foundation and a strong one at that. With time Ghulam Ali’s inclination towards ghazal, thumri, dadra grew, and he decided to take them up professionally. 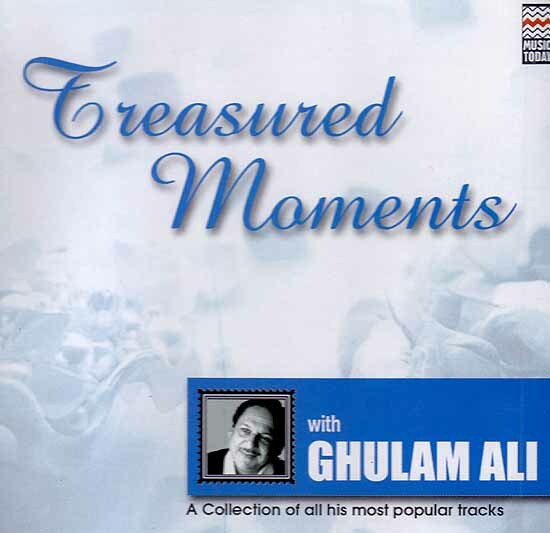 He combined the knowledge he gained from these masters with his own sensibilities to create a unique style of ghazal singing. Another turning point in his early years came when he was give the opportunity to perform at a music conference in Pakistan, which was also host to other luminaries. It was this performance, which established him as the musical sensation of the sub-continent. The poet Sufi Sahab taught Ghulam Ali the finer nuances of ghazal singing and over the years compositions like Chupke Chupke, Hungama Hai Kyon Barpa, Jaane Wale and Awargi have become evergreen gems of his repertoire. His famous Punjabi repertoire includes numbers like Lag Gaye Nain, Ja Ve Pardesiya and Baija Mere Kol. Some of his popular ghazals have been incorporated in Hindi films while others have inspired popular songs of Indian cinema. Today after a successful journey spanning over four decades, Ghulam Ali reigns supreme as the foremost ghazal exponent of the sub-continent. He holds the credit for making ghazal popular worldwide by not confining to the eastern style of singing, further merging western notes with it to make it distinctive. Certainly, a singer par excellence who has created a niche for himself and is bestowed with a unique style of rendering which enthralls the audience each time he delivers a concert.